Monday's free-agent deal with Mathieu makes the return of Berry a luxury, not a necessity, for the Chiefs at safety. The Patriots tight end made key catches against the Chiefs and his blocking helped pave the way to a third straight Super Bowl appearance. Eric Berry, Sammy Watkins and Spencer Ware all sat out Sunday's season finale, and now the Chiefs get a week off before hosting a playoff game. The Chiefs are looking for a solution to their problems in the secondary and gave rookie cornerbacks Charvarius Ward and Tremon Smith a look Sunday. Resilient Chiefs safety Ron Parker has been cut 10 times in his NFL career --half of which came at the hands of Sunday's opponent, the Seahawks. The unpredictability of the safety market already had muddled Collins' future with the Giants, who may end up using the franchise tag. 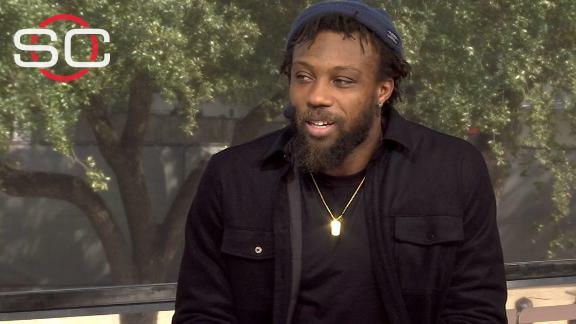 Eric Berry is back practicing, but when will we see him in a game? Chiefs safety Eric Berry returned to practice this week for the first time since training camp. He hasn't seen game action since the 2017 opener. The Chiefs defense gave up a season-low 239 yards and a season-low 10 points against the Bengals on Sunday. Barnwell picks NFL contender flaws: Which teams can fix issues? The Chiefs have given up yards all season, but they had some bright spots in the first five games. Missing four starters, that changed vs. the Pats. Chiefs safety Eric Berry is listed as doubtful for Sunday's game with what the team is calling a sore heel. Andy Reid said he "probably won't" play. The Chiefs picked off Philip Rivers six times in 2017, but of KC's 10 defensive backs, four have arrived in the past month and three in the past week.